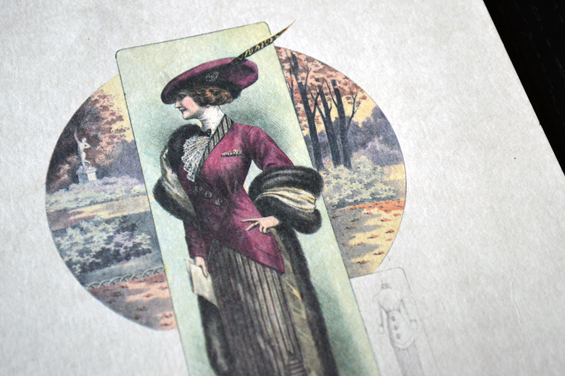 Vintage Finds - Little Treasures - Sugar, Darling? So here's another little collection of pretty things I've found on my vintage fair and charity shop wanderings over the last few weeks! I found the print above at Jackdaw Bygones a fairly new little shop on Churchgate in Loughborough. It says it was printed in Italy and looks to me like an advertising piece from a fashion house. Hopefully I'll come across a nice frame for it soon! I called this my 'Fern Gully' jug as soon as I got it. 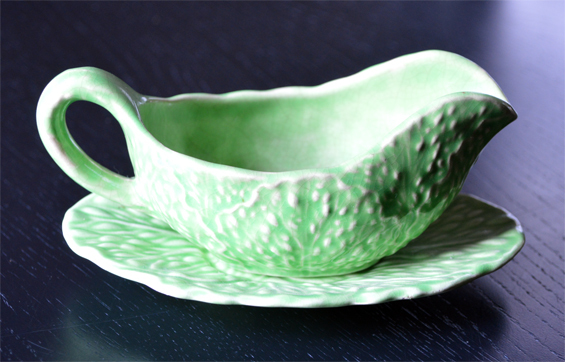 It's a dainty little thing perfect for serving cream with pudding and the leaf texture is just darling. The photo doesn't do the colour justice either it's such a beautiful shade of green, and for £1.99 I was pleased as punch. I was lucky enough to have last Friday off work so headed to the weekly vintage market in the middle of town and picked up a few lovely pieces. 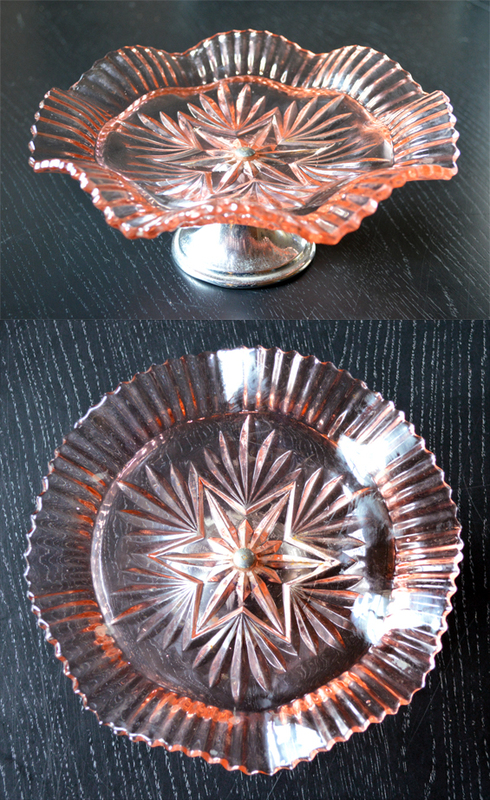 This pretty pink glass cake stand caught my eye immediately with its lovely star design and metal footing - I got it for £4. 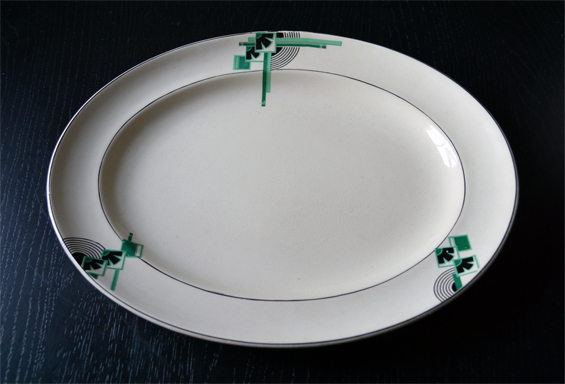 I also got a set of three 1920's platters grading down in size. I'm addicted to watching Poirot at the moment and that coupled with re-reading Gatsby has brought back my Art Deco passion in a big way! I'm starting to be drawn to green more and more at the moment too and it was such a popular colour in the movement. I paid £5 for the three and can't wait to use them next time we have guests over for dinner! 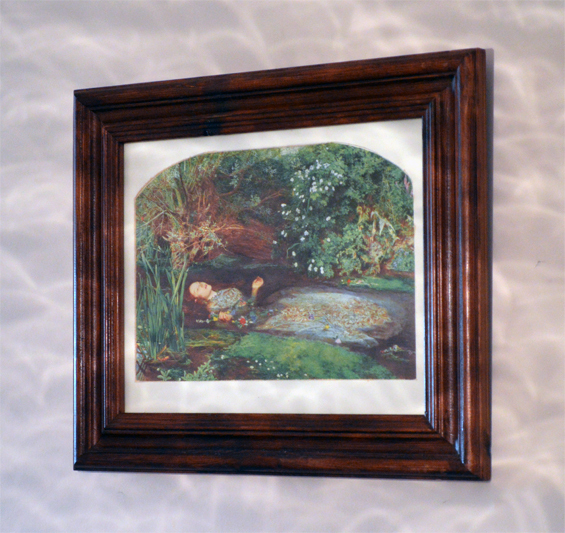 This was my last find at the market - a framed print of one of my favourite paintings 'Ophelia' by Sir John Everett Millais for £5. I adore the pre-raphaelites and hung her straight in the hallway. I'd love to visit the Tate to see the original sometime soon. 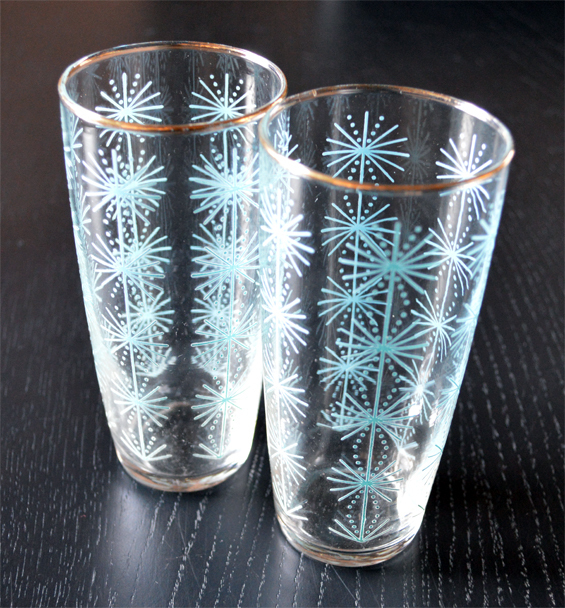 I managed to have a quick run around the other stalls at A Summer of Vintage fair in Matlock that I worked with my beauty parlour last Saturday and picked up some lovely 1960's glasses - they're just perfect for a gin and tonic! Both sets were from Boomerang Vintage who are opening a shop in Hednesford on the 6th of July! 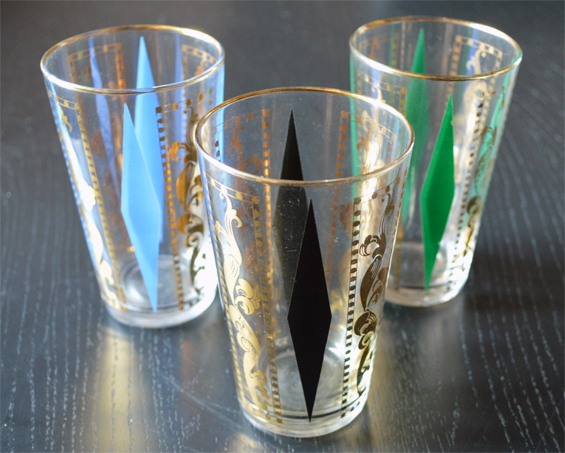 Hopefully I'll get to visit soon and grab some more lovely homewares!